Keep your layer chickens healthy by allowing them to free-range in a safe place on your urban farm. Getting fresh eggs from your backyard isn’t as easy as just plopping a chicken in a coop. To get quality eggs—keep your layer chickens healthy in the process—you need to provide your hens with a bit of TLC. Whether you’re new to chicken keeping or have been at it for awhile, follow these eight tips to help your chickens stay healthy and productive. To keep your chickens productive and healthy, feed them the best food you can afford. The staple of their diet should be a premium laying mash or pellet, supplemented with occasional fresh fruit, green vegetables, meal worms and other healthy treats. 2. Clean nest boxes frequently. To encourage your chickens to lay, provide them with plenty of sanitary nest boxes layered with comfortable bedding. Recycled-newspaper pellets make a soft surface for hens to nestle and deposit their eggs and are easy to toss away and replace. 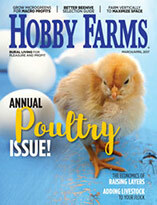 Happy chickens lay more eggs and are more likely to stay healthy. If possible, let your chickens roam freely on your property. If this is not safe for them because of predators, consider using a covered exercise pen you can move around, which will allow them to “graze” on your lawn while still being protected from hawks and eagles. Egg-laying leeches a lot of calcium from a hen’s body. In addition to feeding a quality laying food, provide free-choice crushed oyster shells in a cup in the coop. Your hens will supplement their calcium as needed. Crushed oyster shells are available in feed stores that sell poultry supplies. Handle your hens whenever possible to examine their bodies, including combs, wattles, bills, feet and wings, for problems. Be on the lookout for infected wounds and broken bones. If you are concerned about your chickens’, don’t hesitate to take them to the vet. 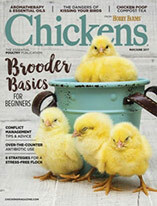 Avian veterinarians are often experienced in dealing with chicken issues. Before you even bring your chickens home, contact veterinarians in your area so you know who to go to in an emergency. Laying hens are particularly vulnerable to predators because of their reluctance to leave the nest. Make sure your coop is predator-proof to ensure raccoons, cats and other animals can’t gain access to your chickens. This means making sure latches can’t be opened by prying hands (raccoons are notorious for this) and the wire-mesh fencing is small enough that predators can’t reach through the bars to grab your chickens. Chickens need constant access to water to stay healthy and productive. They will avoid water that isn’t clean and will go thirsty if they can’t find a fresh source. Provide your birds with fresh water every day. External parasites love to prey on chickens. Mites are the biggest culprits and will take up residence in your coop without you ever noticing. Make it a habit to regularly inspect your chickens at night, when mites become active. 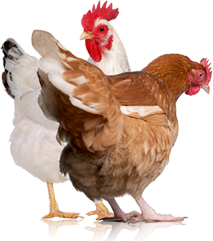 If you see small, reddish-brown insects scurrying around on your chickens’ heads, treat your hens and your coop for mites. Chickens are best treated with a dose of ivermectin (available in injection form from an avian veterinarian), and the coop should be cleaned and dusted with food-grade diametreceous earth. About the Author: Audrey Pavia is a freelance writer and urban farmer living in Norco, Calif. She keeps bantam Cochins and Leghorns. Read more about her urban farming experiences in her City Stock blog.